There are some races you don’t want to win. I’m glad, for instance, that Greece instead of America is winning the race to fiscal collapse (though both the BIS and OECD predict the U.S. faces a bigger long-run challenge). And I’m happy that California is farther down the path to chaos and meltdown than my state of Virginia (as illustrated by this amusing cartoon). So you will understand that I am worried when a French socialist defends bad economic policy by saying that his country is copying the United States. Here are some excerpts from a CNBC report about Obama being a role model for Hollande’s economic team. The French politician who said Indian steel company ArcelorMittal should leave the country has told CNBC that his government is only acting like U.S. President Barack Obama. Industry Minister Arnaud Montebourg, a member of the governing Socialist party, caused controversy last week when he said that the Indian company, which employs close to 20,000 people in France, should leave after it said it would have to close down a factory. The French government announced on Thursday that it could nationalize the factory in question… The news raised the specter of the nationalizations of the early 1980s, which were instigated by Hollande’s predecessor Francois Mitterrand. Montebourg told CNBC after a meeting with trade unions in Paris: “Barack Obama’s nationalized…” Montebourg brushed off comparisons with that era. He said: “It’s a very good sign to send out (to investors). Nationalizing is a very modern step to take. Especially when you not only nationalize losses but profits as well, when you make public/private partnerships. This is our strategy. …He declined to answer a question about comments from Mayor of London Boris Johnson, who told Indian businessmen earlier this week to come to London instead of France. I don’t actually think we’re as bad as France, and the rankings from both Economic Freedom of the World and the Index of Economic Freedom both show the United States with more economic freedom. But a good overall score doesn’t mean that one nation is better than another in all regards. The United States still ranks above Sweden, even though the Swedes have implemented school choice and personal retirement accounts. And America still ranks above the Slovak Republic, even though that country (at least for now) has a simple and fair flat tax. So maybe Monsieur Montebourg is right about the U.S. being a trendsetter for bad industry nationalization policy. Gee, what a high honor. I guess this is what it means to be called ugly by a frog. Why Are Republicans Willing to Help Obama Make America More Like Europe When the Welfare State Is Collapsing? Washington frustrates me. The entire town is based on legalized corruption as an unworthy elite figure out new ways of accumulating unearned wealth by skimming money from the nation’s producers. But one thing that especially irks me is the way people focus on the trees and forget about the forest. Politicians and journalists are now engaged in an inside-baseball game of analyzing every twist and turn of the fiscal cliff negotiations. That’s all fine and well, but perhaps it would be a good idea to talk about the need to fix the real crisis of excessive spending instead of arguing about how fast we should be traveling in the wrong direction. And let’s not delude ourselves. In the absence of real entitlement reform, the United States is doomed to repeat Europe’s mistakes. And how are things going in Europe? Well, I’m glad you ask. Let’s look at some excerpts from an Associated Press report. Another month, another record unemployment rate for the economy of the 17 European Union countries that use the euro. Figures released Friday by Eurostat, the EU’s statistics office, showed that the recession in the eurozone pushed unemployment up in the currency bloc to 11.7 percent in October, the highest level since the introduction of the euro in 1999. …Eurostat found that 18.7 million people were out of work across the eurozone, an increase of 173,000 on the previous month and 2.2 million higher than the year before. The wider 27-nation EU that includes non-euro countries such as Britain and Poland had an unemployment rate of 10.7 percent in October and a total of 25.9 million out of work. …”Talk of a `lost generation’ of young people now looks like an alarming possibility,” said Andrea Broughton, principal research fellow at the Institute for Employment Studies. In other words, we may complain about America’s miserable track record on jobs during the Obama years, but at some point in the future we may someday look back on 8 percent unemployment as good news. Unfortunately, the crowd in Washington doesn’t want to acknowledge that the real problem is spending. And I’m particularly irked (but not surprised) that Republicans now seem willing to go along with Obama even though they won this fight back in 2010 when they didn’t control the House and had fewer seats in the Senate. Here’s what I said to one of the local DC stations. I realize I’m sounding glum, so let’s close out this post with a couple of amusing cartoons about America’s European future. I’ve already shared the “European Lemming” cartoon. This one has the same theme. Other Eric Allie cartoons can be enjoyed here, here , here, here, here, and here. And here another cartoon with the same theme. If you like this Bok cartoon, some of my other favorites can be seen here, here, here, here, here, here, and here. If you still haven’t cheered up, this bit of Dave Barry humor about the European fiscal crisis is a classic, and I’d also recommend this bit of unintentional satire. Unless the law is changed, big tax increases will be imposed on all taxpayers next year. This is the so-called fiscal cliff, and President Obama is using this unpalatable situation as an excuse to push for his class-warfare tax policy. I talk about the political and economic ramification of this fight with Glenn Reynolds, author of the famous Instapundit blog. As is my habit, there are a couple of points that deserve some elaboration. Budget deals don’t work – I wrote about this issue back in 2010, but I think the most persuasive piece of evidence came from the New York Times, which inadvertently admitted that the only successful budget deal was the 1997 pact that cut taxes rather than raising them. We should only raise taxes on those who say they want higher taxes – Since the Hollywood left (with some noble exceptions such as Jon Lovitz and Rob Schneider) is in favor of bigger government and higher tax rates, Glenn has suggested a restoration of the federal tax on movie receipts. That hasn’t worked very well in Spain, but I like the idea. In the same spirit, I’ve proposed a tax on CEO salaries since the big business community is trying to curry favor with the political class by endorsing tax hikes. Republicans won this fight in 2010 when they had less power – The same fiscal cliff fight took place two years ago, before the Republicans controlled the House and when they had fewer seats in the House. Yet GOPers prevailed because Senate Republicans stuck together. It would be a sign on remarkable incompetence if they lost this year’s fight since they now have much more power. Long-term incumbents get too comfortable with big government – I joked about politicians who come to Washington thinking it’s a cesspool, but eventually think it’s a hot tub, but that’s actually a very serious point. As I explain in this post, too many GOPers get corrupted by big government. It’s simple to balance the budget with modest spending restraint – According to Congressional Budget Office data, we can make the Bush tax cuts permanent and balance the budget in just 10 years if lawmakers simply exercise some modest fiscal restraint and limit spending so it grows by an average of 2.5 percent yearly. Most important, I sneak in an endorsement of my beloved Bulldawgs at the end of the interview – I’ve been very restrained and have not used this blog as a platform to celebrate Georgia being two wins away from the national title. Actually, the SEC Championship Game this weekend is the de facto national title game, though whichever team that prevails will have to take the pro forma step of mopping the floor with Notre Dame in January. This cartoon shows the state of play. P.S. I appreciated Glenn’s reference to Lucy, Charlie Brown, and the football. To see my re-creation of that Peanuts classic, look at the cartoon in this post. It’s not something I should admit since I work at a think tank, which is based on the idea that substantive analysis can impact public policy, but I sometimes think humor and anecdotes are very effective in helping people understand issues. On the topic of unemployment insurance, for instance, I wouldn’t be surprised to learn that this Michael Ramirez cartoon and this Wizard-of-Id parody have been effective in helping folks grasp the unintended consequences of excessive government benefits. And I bet this story from Michigan and this example from Ohio will ring a bell with many people because they have some relative or buddy who also has used government benefits as an excuse to stay unemployed. So when I went on Fox to discuss the issue, I mentioned that I had a couple of friends who goofed off instead of looking for work because they got unemployment benefits. But since I am a think-tank policy wonk, I also explain that even left-wing economists such as Paul Krugman and Larry Summers agree that subsidizing unemployment means more joblessness. The academic research on this topic is virtually unanimous. Keep in mind, by the way, that the negative impact of unemployment benefits is just the tip of the welfare-state iceberg. Professor Casey Mulligan has some very good work about the negative impact of redistribution programs, and this chart shows how dependency programs create very high implicit marginal tax rates for the less fortunate. P.S. My opponent got screwed in terms of airtime, something that I can sympathize with since I’m often the one getting the short end of the stick, even when appearing on overseas television. This previous debate on unemployment insurance, by contrast, was very balanced. P.P.S. If you want an example of unintentional humor, you can watch Nancy Pelosi asserting that paying people not to work is an effective means of creating jobs. It’s not easy to find some humor in the European fiscal crisis, though this Hitler parody video surely is a classic. We now have a new video to enjoy. There are some naughty words, so be forewarned. And speaking of Greek-related humor, this cartoon is quite good, but this this one is my favorite. And the final cartoon in this post also has a Greek theme. P.S. If you like Greek-related humor, I have two more posts that have been very popular. The first one features a video about…well, I’m not sure, but we’ll call it a European romantic comedy and the second one has some very un-PC maps of how various peoples – including the Greeks – view different European nations. Being a thoughtful and kind person, I offered some advice last year to Barack Obama. I cited some powerful IRS data from the 1980s to demonstrate that there is not a simplistic linear relationship between tax rates and tax revenue. In other words, just as a restaurant owner knows that a 20-percent increase in prices doesn’t translate into a 20-percent increase in revenue because of lost sales, politicians should understand that higher tax rates don’t mean an automatic and concomitant increase in tax revenue. This is the infamous Laffer Curve, and it’s simply the common-sense recognition that you should include changes in taxable income in your calculations when trying to measure the impact of higher or lower tax rates on tax revenues. No, it doesn’t mean lower tax rates “pay for themselves” or that higher tax rates lead to less revenue. That only happens in unusual circumstances. But it does mean that lawmakers should exercise some prudence and judgment when deciding tax policy. Moreover, even though I’m a strong believer in the importance of good tax policy, it’s also important to understand that taxation is just one of many factors that determine economic performance. So lower tax rates, by themselves, are no guarantee of economic vitality, and higher tax rates don’t necessarily mean the world is coming to an end. With those caveats in mind, take a look at this table from the Congressional Budget Office’s most recent Budget and Economic Outlook. Taken from page 109, it shows what will happen if the economy grows just a tiny bit less than the baseline projection. Not a recession, by any means, just a drop in the projected growth rate of just 1/10th of 1 percent. As you can see, the 10-year impact is $314 billion, mostly due to lower tax receipts, though there is some impact on outlays because of higher interest costs and a bit of additional entitlement spending. So why am I sharing these numbers? Because let’s now think about President Obama’s proposed class-warfare tax hike. He wants higher tax rates on investors, entrepreneurs, small business owners and other “rich” taxpayers. And he wants more double taxation of dividends and capital gains. And a higher death tax rate, even higher than the ones imposed by France and Venezuela. I think some opponents are exaggerating when they claim that this tax hike will cause a recession and cripple the economy. But I do think that it’s reasonable to contemplate the degree to which the Obama tax hikes will slow growth. More than 1/10th of 1 percent? Less than that? Would the damage occur in the first few years? Would it be spread out over time? Those questions are hard to answer. Ask five economists and you’ll get nine answers, but there is compelling evidence that higher tax rates do have a negative impact. But some people assume that taxes don’t matter at all. Using models that, for all intents and purposes, naively assume a simplistic linear relationship between tax rates and tax revenue, the number-crunching bureaucrats in Washington estimate that Obama’s proposed tax hikes will generate about $800 billion over 10 years. I’m not going to pretend I know the economic impact of those higher tax rates, but for the sake of argument, let’s assume that the impact is minor. Indeed, let’s assume that it’s only 1/10th of 1 percent. Based on the CBO sensitivity analysis above, that means that about 40 percent of the projected deficit reduction will fail to materialize. And that’s not even considering the fact that politicians will probably increase the burden of government spending because of the expectation of additional tax revenue. Just something to keep in mind as this debate unfolds. P.S. I actually shared this exact same data when testifying to the Senate Budget Committee earlier this year. Needless to say, in some cases I think my testimony went in one ear and out the other. P.P.S. The revenue-maximizing tax rate is not the ideal point on the Laffer Curve. I don’t like to spend much time commenting on media bias. But every so often I find an example that cries out for attention. In previous posts, I’ve discussed this slanted AP story on poverty, the Brian Ross Tea Party slur, this example of implicit bias by USA Today, and a Reuters report on job creation and so-called stimulus. And I’ve also commented on a Washington Post story that turned a spending cut molehill into a “spending slash” mountain, a silly assertion in the New York Times that education spending has been reduced, and a Washington post claim that Germany is fiscally conservative. 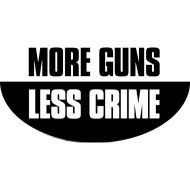 The latest example comes from the Associated Press, which is mystified that crime is falling “despite” record firearm sales. Gun-related violence has fallen steadily since 2006 in Virginia despite record firearm sales, according to a university professor’s analysis. Virginia Commonwealth University professor Thomas R. Baker compared state crime data from 2006 through 2011 with gun-dealer sales estimates obtained by the Richmond Times-Dispatch. Baker’s analysis shows the number of gun purchases soared 73 percent in the six-year period, while gun-related violent crimes fell 24 percent. 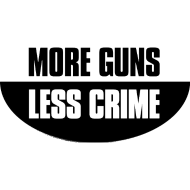 Baker, who specializes in research methods and criminology theory, said the comparison seems to contradict the premise that more guns lead to more crime in Virginia. Gee, there are more innocent people with guns and people are surprised that criminals are now more reluctant to commit crimes? I guess you have to be a reporter or an academic to be surprised by this common-sense observation. He punctures myths about so-called assault weapons. Lott explained how anti-gun laws facilitated the terrorist attack at Fort Hood. Writing after the Tucson shootings, Lott explained the benefits of concealed-carry laws. In the aftermath of the Heller decision, Lott explained how more guns resulted in less crime in DC. Lott explained how gun control made Jamaica a more dangerous country. Shifting back to the topic of media bias, let’s close this post by sharing some amusing cartoons, which can be enjoyed here, here, and here.